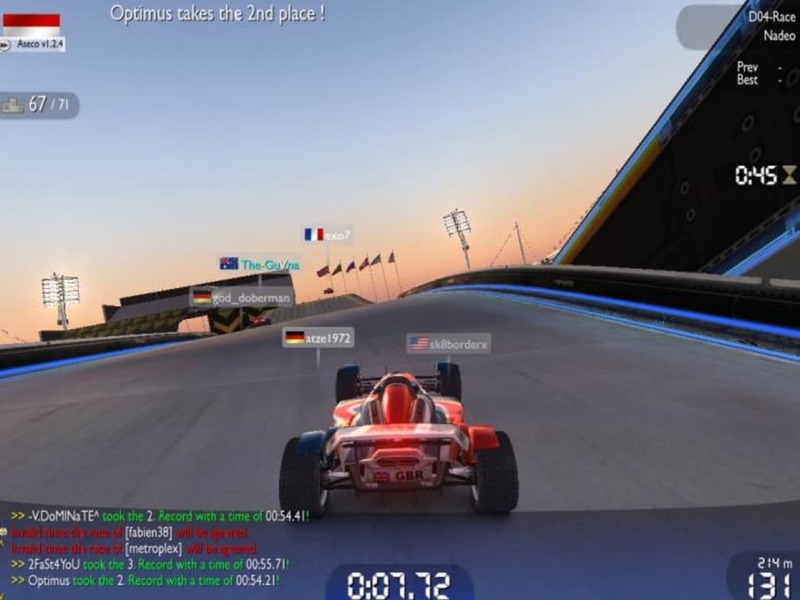 You've probably seen a ton of online racing games already, but Trackmania Nations Forever is quite different from anything you have seen so far. 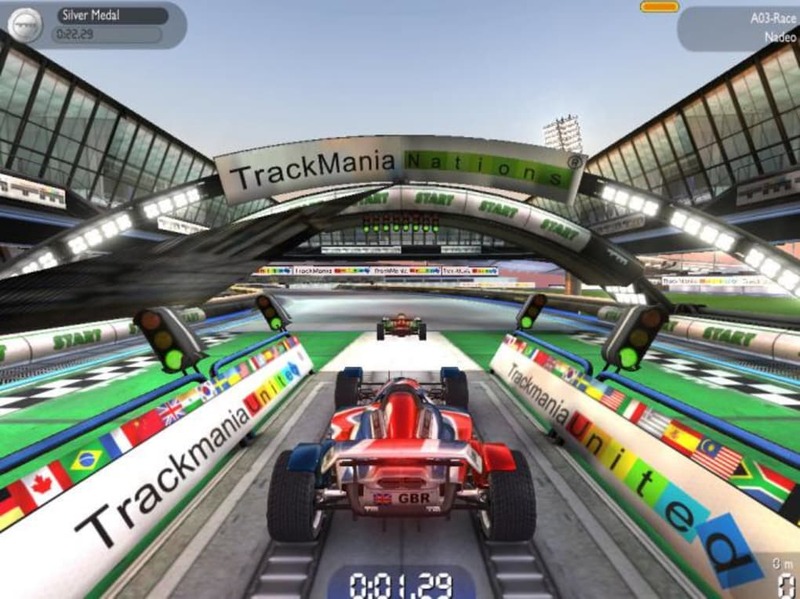 To begin with, Trackmania Nations Forever is completely free. No trial periods, no disabled functions, no nagging windows. 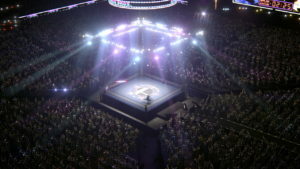 It's for you to play and enjoy for free, as long as you want, as much as you feel like it. 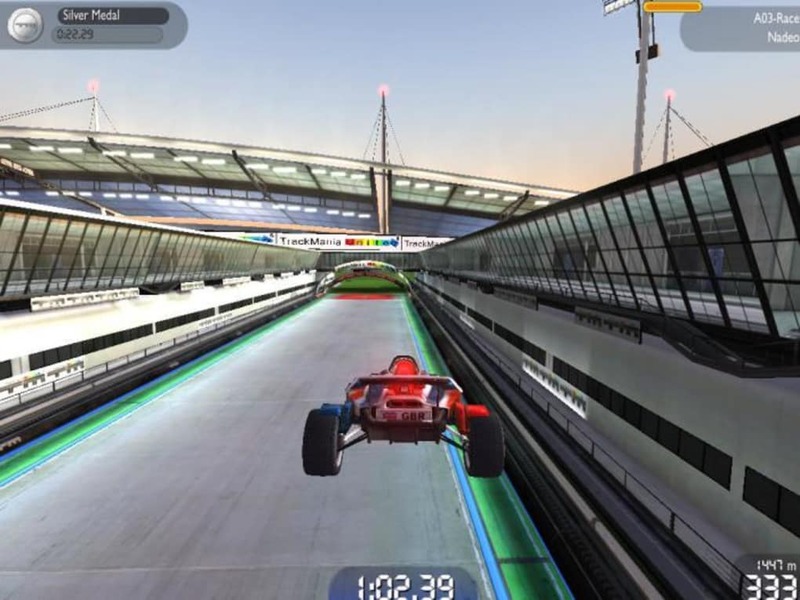 Also, Trackmania Nations Forever is not that much about arriving first to the finish line, but rather about having fun along the way; hence the extensive social component of the game and the incredible jumps and spins you'll be able to perform. 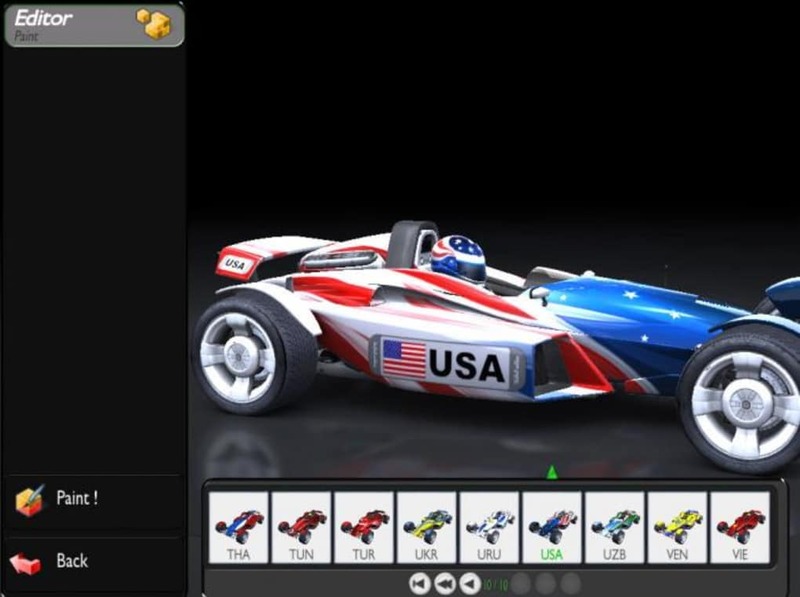 Last, but not least, it also enables you to customize the game, featuring a complete editor with which you can create not only tracks, but also design your very own car. 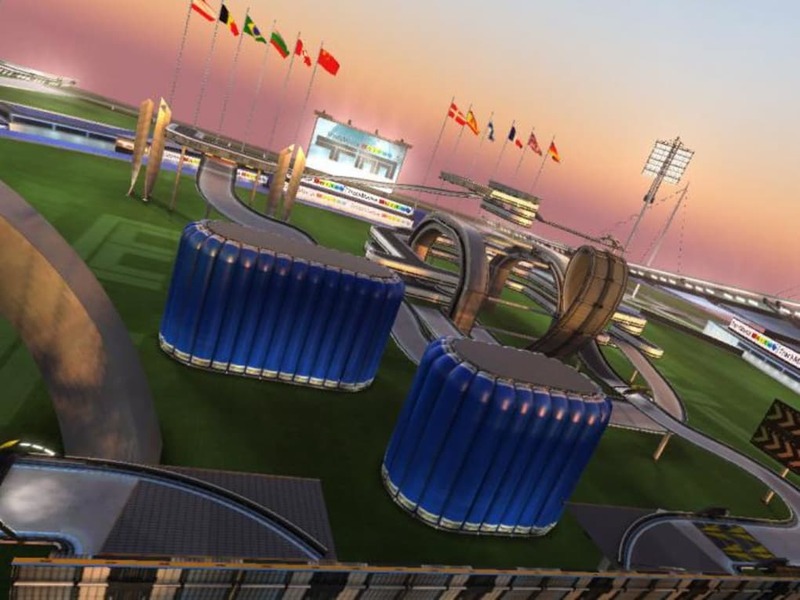 Trackmania Nations Forever includes three different gaming modes (Solo, Online and Party play) which give you a different approach to the game: you can either play against the PC and try to break your personal records, play with friends on the same computer or in a local area network or play against other Trackmania drivers from all over the world with its superb online multiplayer mode. 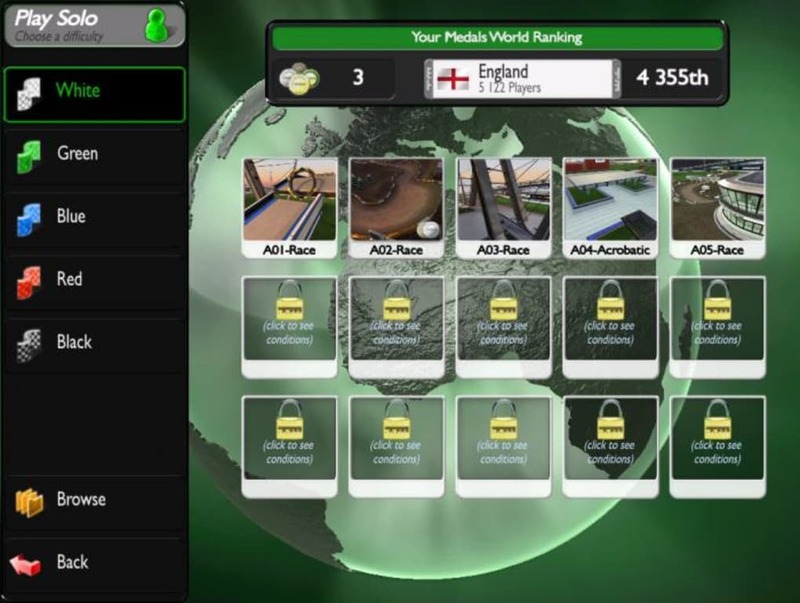 The Solo mode works with a system based on medals (the best your racing times are, the more medals you get and the more tracks you unlock) while the Online mode uses a worldwide ranking to measure players's achievements. 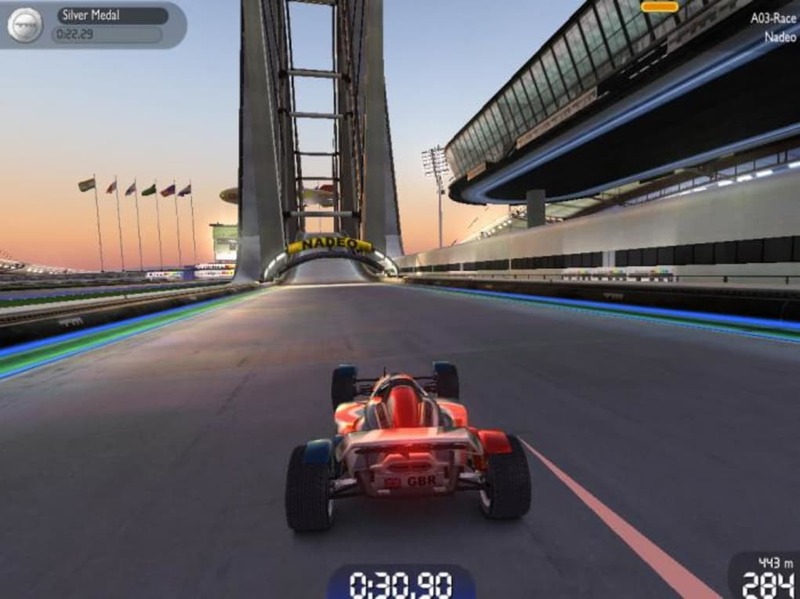 In a way, we could say that the most important element in Trackmania Nations Forever is gameplay. 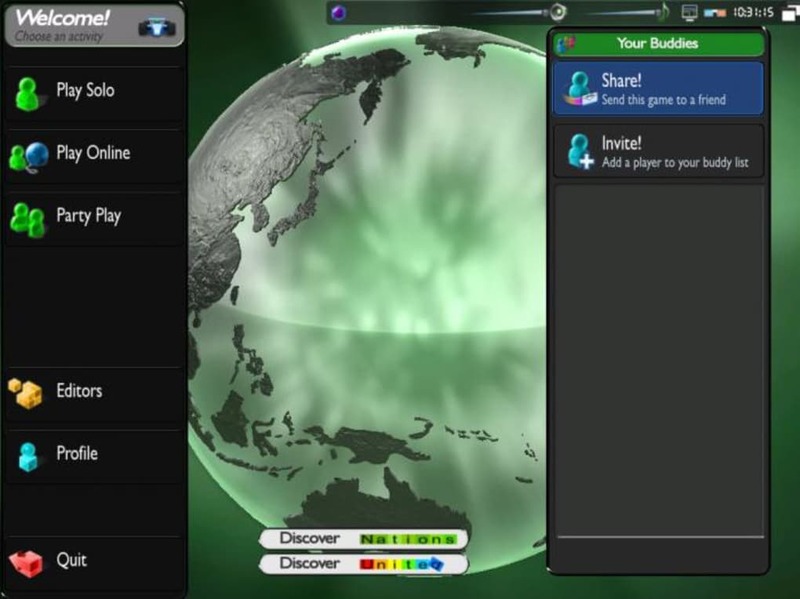 Everything has been carefully planned and designed to be as easy for the player as possible: for example, you can register your profile by simple filling in a two-field form, or control the car with just the arrow keys. This simplicity is what makes the game so much fun and so wickedly addictive. Despite this apparent simplicity, however, you'll find a very elaborate game. Track and car design are simple, but realistic and very accurate. An excellent soundtrack adds the final touch to a game that, in my opinion, sets a turning point in online racing games. Trackmania Nations Forever is probably one of the greatest online racing games you'll ever see: fun races, customizable elements, an extensive user community and excellent gameplay. great, but a few cons. Its great althought, my ladder points never appear, i know i have more than 0 but it keeps saying 0. Pros: Everything. The hours fly by. I actually laugh out loud when playing.. Simply Awesome. I've had it for a week and am completely hooked. 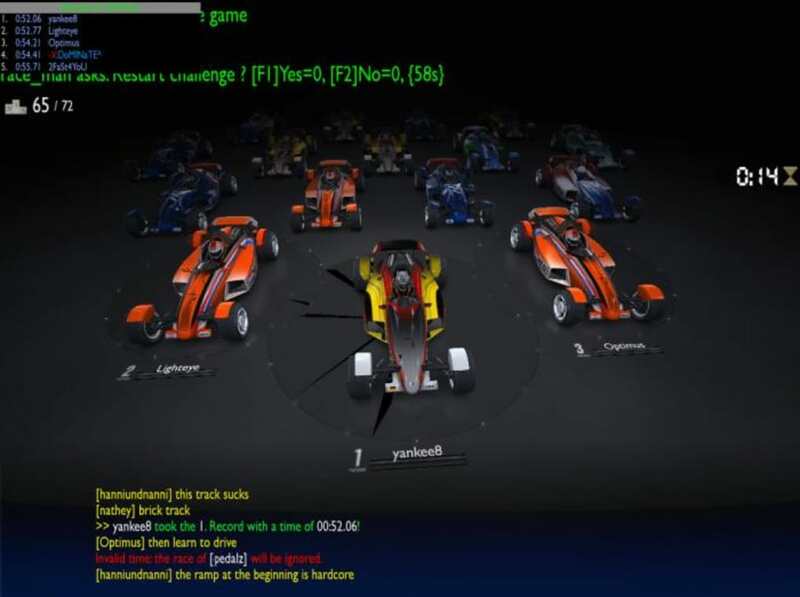 Does the game has a 'track line' the driver could use to navigatethe tracks? many official and unofficial tracks. You can go 'exploring'. 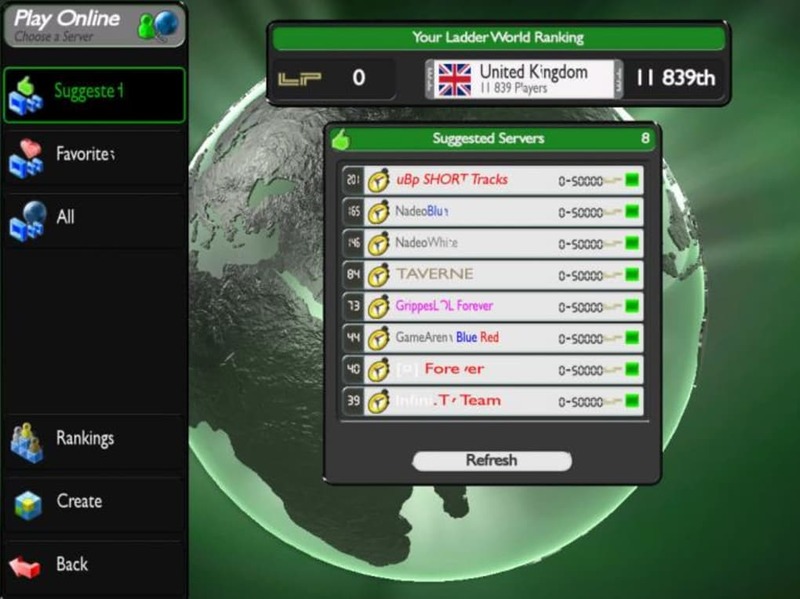 Trackmania Nations Forever is:. A really good game! you should try it...The requirements can sometimes be a little high (depending on the gaming pickiness of your computer), but it is a freaking sweet game otherwise! awesomebot commands you to download this game now!